When I joined my father’s practice, Clarke EyeCare Center, in 1995, it took a few years for me to define my vision as a leader. We were hiring and firing and trying to build the perfect team, until I realized that there’s no such thing as the perfect team. As soon as you think you’ve built the perfect team, something will change. Business is dynamic and things are always changing, and accepting that lifted a weight from my shoulders. It also helped me realize a larger truth about myself: I don’t like being an employer. One day, a light bulb went off in my head and I realized I wanted to be a developer of people, not an employer. I wanted to make a difference in the lives of our employees and use business as a means to make a positive impact for our team members, no matter how long they’re with us. With our new mindset in place, we started building a culture around that vision — attracting and hiring people who want to be developed and working hard to make a positive difference in their lives. For the past 15 years, we’ve been people developers. Today, Clarke EyeCare Center is a 5-doctor, single location optometric practice that offers comprehensive, leading-edge vision care. Besides our doctors, we have an empowered and engaged team of 24 professionals who are critical to our business operations and success. Although what we do is to provide excellent customer service by providing vision care, our real mission is to develop people. So, what exactly is the difference between an employer and a developer, and how can you make the switch? Here’s what you need to know. Put simply, the employer mindset sees employees in terms of how they can be used to achieve your business goals. If we had an employer mindset at Clarke EyeCare, I would think about how employees can help me achieve my goal of selling more eye exams or eyeglasses. With a developer mindset, you view employees in terms of what you can do for them. Developers seek out employees who fit the organization and who want to be developed professionally and personally. We consider ourselves to be a people development factory that just happens to check eyes. The long-term result is a team that manages the business. We’ve worked hard to create a good foundation with the right people in the right positions. We have a strong set of core values and a clearly-defined vision, and those tools have helped us empower our people to run the business as collaborative leaders — which often means they literally run past me while solving problems on their own. Instead of training our team members to do a series of tasks, we empower them to be engaged in and help us run the business. It’s one of my greatest joys that our team members have opportunities here that they likely wouldn’t get at the business down the street. We’ve practiced open-book management since 2010, and it has given us the infrastructure to provide new opportunities for development and truly engage our people to think, act, and feel like owners. In 2017, our confidence in our culture was affirmed when we ranked on Entrepreneur Magazine’s list for Small-Sized Companies: The Best Company Cultures — our CultureIQ score offered concrete proof of the healthy, high-performing culture we’ve worked hard to cultivate. The development process begins with attracting and hiring the right people. What works for us is to partner with a local employment agency and train them extensively in what we’re looking for — they know our core values, what makes for a good fit, and what questions to ask. We also invest quite a bit of time in the interview process, administering Myers-Briggs and DISC personality assessments, profiling different positions within the company, and bringing top candidates in for job shadowing. Our team members are part of the decision-making process and we want their buy-in and support before making a new hire. Once a new team member is brought on, they are immersed in an environment of constant communication. Our team knows that their input is valuable and wanted. We dedicate two hours every week to development and communication. Every Monday morning, our entire office meets for a 45-minute Great Game huddle to communicate, strategize, and problem-solve together. Immediately after that, we break into our department meetings for an hour of communication, strategy, and development at the departmental level. During these meetings, employees support one another by leading trainings, sharing knowledge, and even role playing. Sometimes, it’s the little things that make a big impact for employees. During the interview process, we always ask them to share a responsibility or task from their last job that they really loved. As we continue to talk to them and get to know them, we identify opportunities for taking on responsibilities outside of their normal routine. For some, it’s administering company surveys or organizing patient records. For others, it’s tending to office maintenance or planning company events. The idea is to give people as many real, tangible opportunities as possible to help run the business. At the end of the day, being a developer is a mindset. That means you have to truly believe that your purpose as a leader is to develop your people and make their lives better than when they first walked through your doors. You can start anywhere, and I made the switch in a day. But my advice for you is to take a walk in the woods and be deeply introspective before taking the plunge. Who are you really? Are you passionate about making a difference in people’s lives? Are you ready to be vulnerable and open with your team? If you don’t get your own buy-in first, then the process won’t work. Once you’ve committed to the developer mindset, approach your leadership team and get on the same page. There needs to be clarity in your vision, and everyone needs to understand and be bought in to where you’re headed. Consider going through a visioning process to envision the impact a developer mindset will have on your culture in 5 or 10 years. Then, assess the people currently on your team. Can you develop these people? Start having those conversations with your employees and let them know that things are going to be different from this point on. Explain the responsibilities and opportunities that will come along with the changes. You’ll start to see which employees are open to being developed and which aren’t quite there. Make the hard decisions and start getting the right people in the right positions. In order for this process to really work, the employer must have a developer mindset and the employee should have the desire to be developed. Finally, you’re going to want to cultivate a culture of feedback. At Clarke EyeCare, feedback is one of our core values and we’ve integrated it into every function of the organization. For example, our weekly, 2-hour development meetings normalize and create space for feedback on a departmental level. We nip things in the bud and keep our communication channels wide open. For leaders, a 360-degree feedback process ensures that we’re leading by example and constantly improving how we serve our customers, patients, and team members. We also measure employee satisfaction with the CultureIQ tool and track customer satisfaction with Net Promoter Score (NPS), which I’m proud to say has always been above 90 for as long as we’ve been tracking it. Ultimately, our goal is to do what we do tomorrow better than how we did it today. 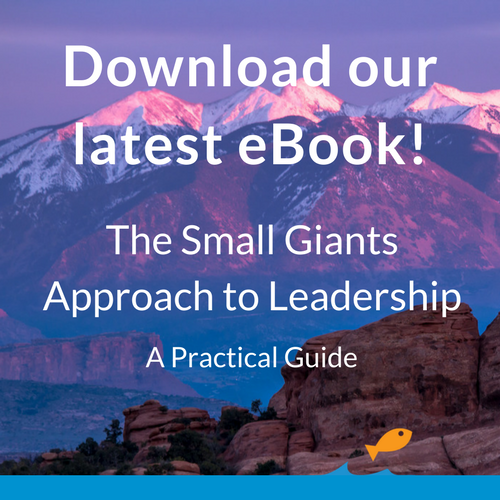 Developing your people is one part of the Small Giants approach to leadership. Learn more in this eBook full of practical tips to deepen your practice of purpose-driven leadership. 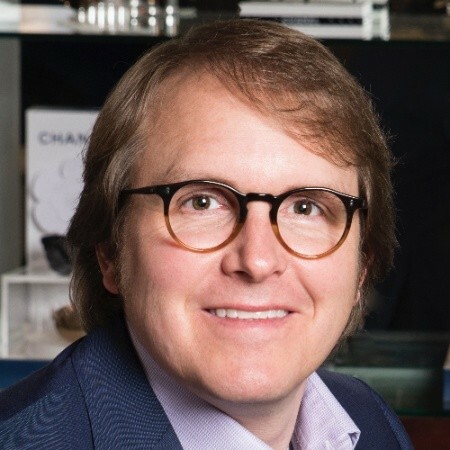 Dr. Danny Clarke owns Clarke EyeCare Center in Wichita Falls, Texas, which was just ranked on Entrepreneur Magazine’s Top Company Cultures list. They have also received an All-Star award by The Great Game of Business and were named the Family-Owned Business of the Year for the SBA Dallas/Ft. Worth district, which comprises 72 counties in Texas. Dr. Clarke is also the President of MODUS Practice in Motion, which offers Great Game of Business coaching to optometric practices.